The new terminal is an exclusive concourse to handle check-in, security, immigration, customs processes for departing international passengers. HYDERABAD: With an aim to cater to the continued growth in passenger traffic, GMR-led Hyderabad International Airport has recently inaugurated the Interim International Departures Terminal that is set to commence operations from October 23. 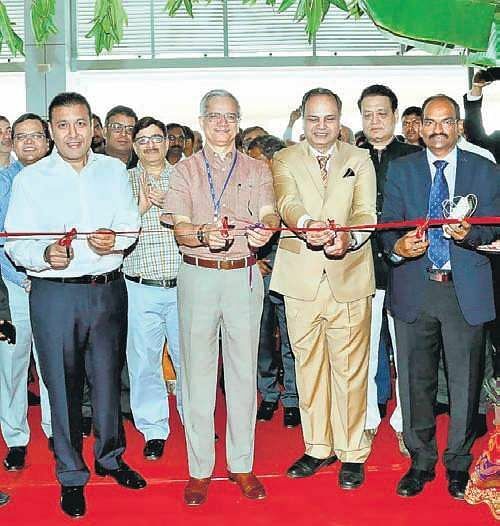 Ministry of Civil Aviation Secretary Rajiv Nayan Choubey inaugurated the terminal in the presence of Chief Secretary Shailendra Kumar Joshi, GMR Group Airports Chairman GBS Raju, GHIAL CEO SGK Kishore and other dignitaries and guests. The new terminal is an exclusive concourse to handle check-in, security, immigration, customs processes for departing international passengers. After completing these formalities, passengers will seamlessly move into the main passenger terminal building using a bank of elevators and escalator, where they will be able to enjoy a multitude of passenger amenities including shopping, retail, food & beverages and lounge access while awaiting boarding. The terminal is equipped with a host of new technologies including India’s first-ever remote hand baggage screening facility, which when coupled with the new Automatic Tray Retrieval System (ATRS) hand baggage screening, can offer up to double the passenger throughput at security checkpoints, cutting down wait times and enhancing passenger experience.